The artists performing at the Rome Festival and studying at the 2011 Summer Institute enjoyed due to its high quality and wonderfully inspiring success. From England, Russia, Germany, France Switzerland, Poland, Romania, Spain, Australia, Japan, Korea, China, Argentina, Canada, Mexico, and the United States of America these artists came to follow the footsteps of the composers who visited Rome to learn from its rich culture. They came to learn from and share ideas with Italian artists and each other as they collaborated to create their best possible performances. They came to play virtuosic symphonic repertoire and chamber music, to design sets and costumes, to dance ballet, and to sing opera and great choral works. The artists benefited from participating with the original , most prestigious performance program for artists visiting Rome, with international soloists, casts, and orchestra compared favorably with the major orchestras of Rome and the Rome Opera by critics and music lovers. Many of them will return. Many received support from private donors and local arts organizations. Professors, graduate and undergraduate students received grants from their respective universities, colleges, and conservatories. 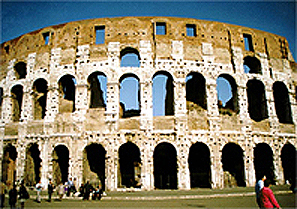 Now is the best time to put together the patronage and support to join them in Rome. Include what you do as a performer or a volunteer. Also include your career status or your date of birth. The Rome Festival, an educational charity, follows a policy of rolling monthly admissions which maintains racial non-discrimination and equal opportunity to all.